While iOS 11.3 doesn't have as many new features as iOS 11.2, there's still a lot to love about Apple's latest update for iPad, iPhone, and iPod touch, even if some of the best features we were expecting didn't make the cut. Apple released the iOS 11.3 beta on Jan. 24, and just over two months later, the final stable version to everyone on March 29. While there are no doubt a few iPad-specific updates, we'll focus mostly on iPhone-related updates below. Sadly, huge features that didn't make it in iOS 11.3, as everyone would have hoped, were Messages on iCloud, as well as AirPlay 2 functionality. At least, it's not yet obvious if those features are included. They will likely be included in iOS 11.4, but hopefully not as far away as iOS 12. Aside from the 12 already included, there are now 4 more Animoji characters, all of which have a global feel to them, indicating that Apple wants to keep international users happy. There's a dragon, bear, skull, and lion, which pair well with China, Russia, Mexico, and Africa, respectively. This feels like a feature that should have been included in iOS since the very beginning. 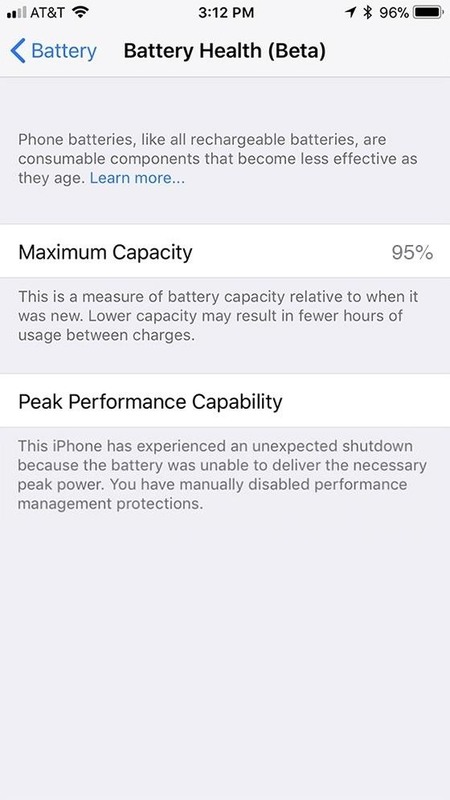 Visit the "Battery" section in your Settings app to see a new battery health indicator, called "Battery Health (Beta)," which will show you your battery's maximum capacity and well as its peak performance. It will also recommend that your battery be serviced, i.e., replaced, if needed. So, if you'd like to speed up your iPhone while chancing a few shutdowns if you're in need of a new battery (see above new feature), you can toggle this off in the Peak Performance Capability section in the new "Battery Health (Beta)" tool. If your iPhone is being throttled, you can tap "Disable" to do just that. It will remain disabled until further shutdowns happen. This is only available for the iPhone 6, iPhone 6 Plus, iPhone SE, iPhone 6s, iPhone 6s Plus, iPhone 7 and iPhone 7 Plus. Apple has included hardware fixes for the iPhone 8, 8 Plus, and X that don't require this option, but those devices can still view the data available in the battery health tool. If you already love the Health app, this might make you love it even more ... if your medical providers participate in the program. If you're one of the lucky ones that visit participating clinics and medical institutions, you'll be able to see medical data such as records, allergies, visits, known conditions, immunizations, lab results, medications, upcoming procedures, and more. To try it out, go to "Health Records" in the "Health Data" tab, hit "Get Started," then select your provider from the list that pops up, and log into your account. This feature is currently in its "beta" phase, so it might not be buggy here and there. A new icon will appear whenever Apple requests your personal information, which shows Apple's effort in being more open about the type of data they collect and when. The icon will link to detailed information about how your data will be used and protected. More importantly, it seems to be an attempt at preventing phishing attempts for your iCloud password. The "Privacy" icon in the Settings app has also changed from gray colored to blue to match this new icon. Use on-device processing wherever possible. Limit the collection and use of data. Provide transparency and control over your information. Build on a strong foundation of security. Another new feature adds support for Advanced Mobile Location (AML), which will automatically send your current location when making an emergency call or using Emergency SOS where AML is supported. This fixes a huge issue since it's hard for emergency service providers to find your location otherwise unless you can audibly tell them, which is not always possible. 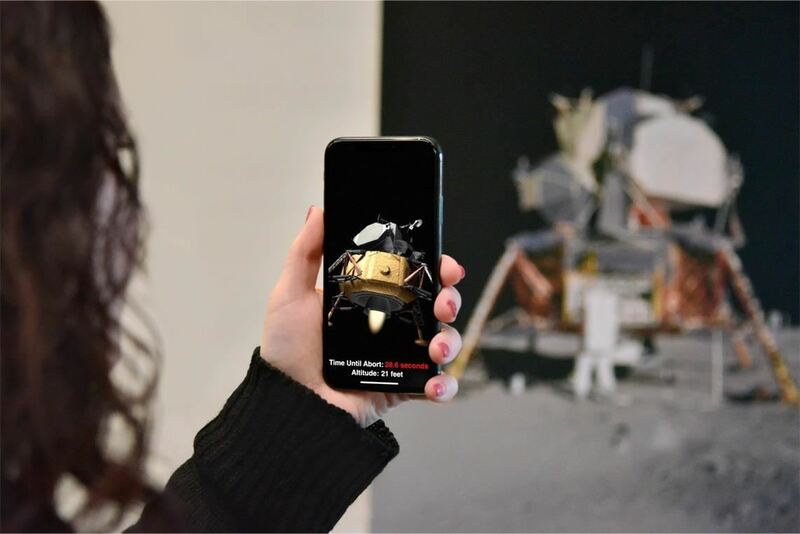 While this isn't a feature you can turn on or see the results clear as day, it is something developers can take advantage of when making their augmented reality apps with ARKit. The new 1.5 version supports vertical and horizontal surfaces such as walls, doors, and tables, as well as irregular-shaped surfaces such as circular tables. It also supports detecting images such as movie posters or artworks and integrating that into the AR experience. Resolution is also 50% higher for the real-world view perceived through the camera and auto-focus works. If you subscribe to Apple Music, you can stream all of the music videos you want without any ads. Most music videos currently found in iTunes that have their songs available in Apple Music to stream are accessible with this new feature, and you can make music video playlists featuring "the hottest new videos, the classics, or ones from [your] favorite artists," according to Apple. This feature actually rolled out as a server-side update in iOS 11.2.6 but was meant for iOS 11.3, and it includes "exclusive video playlists." If you subscribe to Apple Music, music videos aren't the only thing new that you just got. Apple Music's improved suggestions will show you friends that have a similar taste in music, showing the list of genres that you and your mutual friends follow. It's not a big thing, but it's always nice to know your friends that listen to similar songs. When you're dictating text in a note or elsewhere, you'd previously have to tap on the keyboard icon to return to the keyboard. This wasn't great, since instinctually, you'd probably tap near the text if you needed to fix something dictation got wrong. Now, in iOS 11.3, you can tap anywhere to exit the dictation mode. Improves Chinese and Japanese keyboards for better reachability on 4.7-inch or 5.5-inch devices. Dictation in iOS 11.2.6 and below (left) vs. iOS 11.3 (right). In addition to the all of the notes developers provide for their apps when an update becomes available, there is now version numbers and file sizes listed at the bottom of each app update. This is a nice addition since you can tell exactly which version it is and whether or not you want to take up that much space or not right now. One of the biggest issues with the App Store has always been the reviews section — you could never really tell why certain reviews were showing first. Now, iOS 11.3 solves this with a way to sort reviews by most helpful, most favorable, most critical, or most recent. 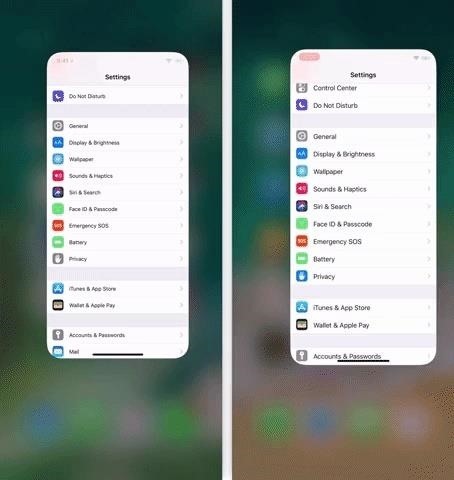 Thanks to iOS 11.3, it's a lot faster when you swipe up from the bottom of the iPhone X to access the app switcher. You might not notice the change at first, but once you realize it's faster, you'll never want to go back. Users not used to a Side button that does almost everything can sometimes get confused when the "Double Click to Install" or "Double Click to Pay" animation came up on the screen when using Face ID to install an app or pay for something. A lot of users were tapping on the screen, not clicking the Side button. In iOS 11.3, Apple has made it more clear what you need to do with an additional animation that says "Confirm with Side Button" in the details popup at the bottom. If you have Family Sharing set up and enabled the "Ask to Buy" feature on a child's iPhone, whenever that child tries to buy something from the App Store (including in-app purchases), iTunes, and iBooks, even if it's free, they won't be able to do so unless you approve the request on your iPhone. However, if you have an iPhone X, you couldn't use Face ID to approve those requests before. Instead, you'd have to type in your password, but in iOS 11.3, you can finally use the convenience of Face ID. "Top Stories" in Apple News is now always the first thing up top in the "For You" tab. Also, there are new "Top Videos" groups to "stay up-to-date on the most important videos of the day." Previously, you could only "Remove All Game Center Friends" from the "Game Center" preferences in the Settings app. Now, you can tap on "Friends" from the same menu and delete them individually instead. It makes a lot more sense this way, and I'm surprised Apple hasn't already done this already. This is by far the smallest feature on this page, but it's interesting nonetheless. 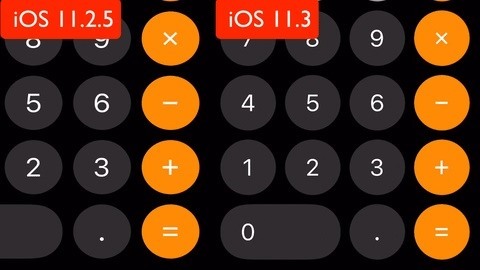 Back in iOS 11.1, the Calculator app developed a degenerative disease that caused it to lag considerably, making fast calculations impossible. Apple cured the disease in iOS 11.2, but the animation on the operator symbols (e.g., the + sign) got kicked to the curb. However, the animation is back in all its glory in iOS 11.3. This is only relevant if you listen to podcasts in Apple's Podcasts app, of course, but you can now play a podcast with a single tap, and you learn more about each podcast by tapping on "Details." Business Chat was teased at WWDC back in June and has been all but forgotten about since. However, it just made an appearance in iOS 11.3, and it wasn't even accessible by users of the iOS 11.3 betas! With it, you can communicate directly with businesses in the Messages app. Eventually, any companies can hop on board to support this feature, but it's starting with a few select businesses including Apple, Discover, Hilton, The Home Depot, Lowe's, Marriott International, Newegg, Ameritrade, Wells Fargo, and 1-800-Flowers.com. You can initiate a chat with the aforementioned companies from within Maps, Siri, Spotlight Search, and Safari. There are also QR codes, located in stores, online, or in advertisements, that you can scan to start a chat, as well as links. In a Business Chat, you can talk to a representative, schedule appointments, and make purchases using Apple Pay. There are a bunch of small updates to Safari in iOS 11.3, and most of them are security-related. Instead of auto-filling in your username in password automatically when you go to a certain login page, it won't auto-fill them unless you select those spots in the web form. Also, there's a new red warning in the "Smart Search Field" when there are passwords and credit card web forms on non-encrypted webpages. If you don't see a red "Website Not Secure" message, the site is using HTTPS, and you're secure from man-in-the-middle attacks. A secure web form (left) vs. a non-secure one (right). Aside from those security updates in Safari, "AutoFill" is now also available for usernames and passwords in web views within apps that use the Safari browser. Folders in the "Favorites" menu also now show icons for the bookmarks that are contained within them. The last feature adds a Reader mode view of a web article that you share from Safari to Mail, so your recipients won't even have to click through to read the article — they can read it right in their email! While these aren't necessarily must-have features and fixes for everyone, Apple did include some updates to the "Accessibility" section in iOS 11.3. If you like to have bold and/or large text enabled, the App Store will now also support it. Aside from that, the other changes for iPhones are as listed below. Smart Invert adds support images on the web and in Mail messages. Fixes an issue where end call button might not be presented in the Phone app when using VoiceOver. One feature not mentioned at all by Apple is that Safari now supports PWAs, or progressive web apps. These apps you install on your iPhone right from Safari — no need to open the iOS App Store — and they're installed just like any other website or webpage you would add to your home screen as a shortcut. Unlike non-PWA webpages, PWAs can actually work offline and they can access certain device functions such as geolocation, sensors, camera, audio output, Apple Pay, and more. Adds support for software authentication as a new way for developers to create and enable HomeKit compatible accessories. Improves performance of Handoff and Universal Clipboard when both devices are on the same Wi-Fi network. Update: Messages on iCloud, AirPlay 2, and iBooks being referred to as "Books" were removed as features from this article since the public version of iOS 11.3 did not include them for unknown reasons.